Warmer weather is around the corner. Not only are you thinking about the refreshing cool treats for you and the family but what about your four-legged friend? Do you give your dog homemade frozen dog treats or Homemade Frosty Paws Recipe? I am a sucker for dog products and when I saw FROSTY PAWS in the freezer dessert section at my grocery store, I bought them all last summer. Maybe you are hosting a dog birthday party and want to give these as the treats. Buying store-bought treats can get expensive, and you can’t control the ingredients. 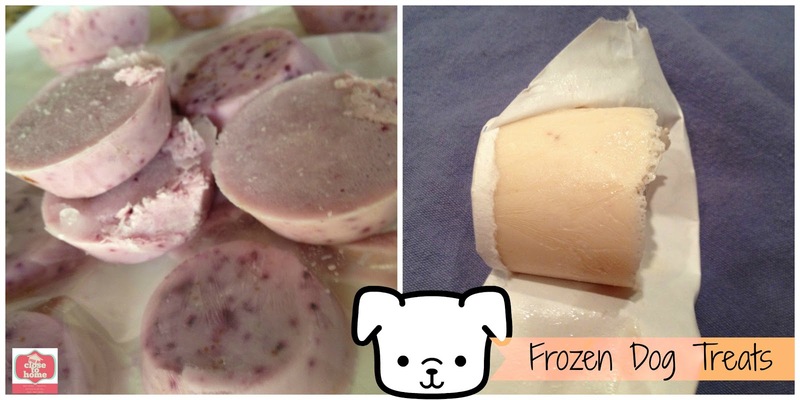 Try these Homemade Frosty Paws or Homemade Frozen Dog Treats recipe your dogs will go crazy over. 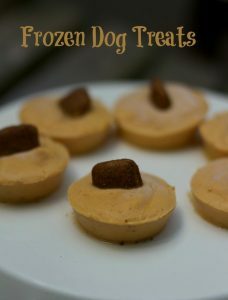 Looking for more flavors, check out these pumpkin frozen treats and peanut butter frosty paws. 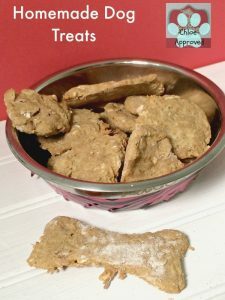 Making homemade dog treats are super easy and you can find other dog treat recipes I have made like this complete list of homemade dog treats. 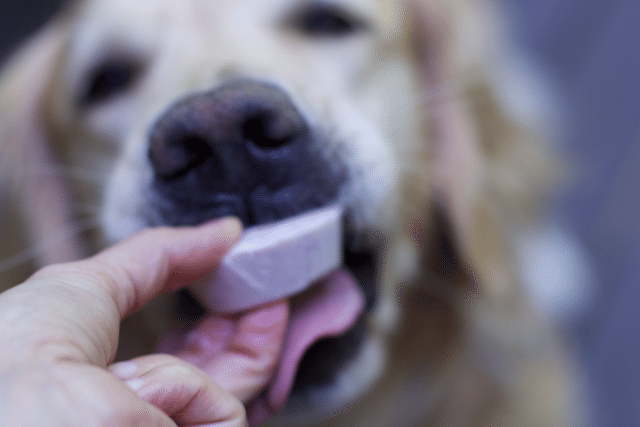 This frozen treat is sure to make your pup lick their lips. Don’t worry if the kids think they are treats in the freezer, there is nothing they can’t eat in these dog treats. Just Dump and Blend your ingredients your dog will enjoy like these other Frozen Homemade Dog Treats & Dog Cakes! 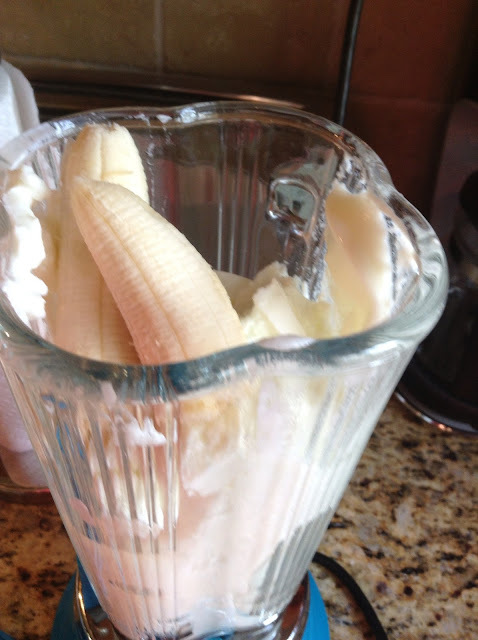 Looks like a smoothie you make for yourself. Easy enough for you yet? I used only one 32 oz carton of yogurt and made half of the base with berries in the mini muffin tins that I sprayed with non-stick spray, this is optional as I made it the second time and they came out just fine with a little poke of a knife. Allow them to freeze completely then pop them out with a sharp knife. Store them in a freezer Ziploc bag to keep fresh for the summer months. 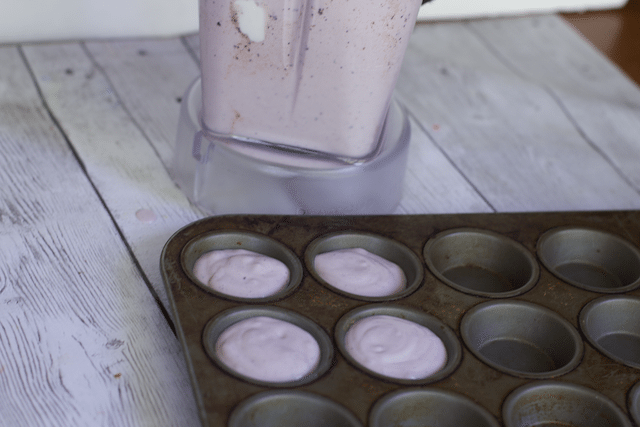 Just pop them out of the mini muffin pan and store in a ziplock bag until you are ready to serve them up. Think she likes them, what do you think? 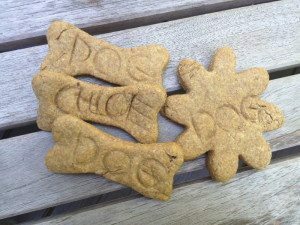 Homemade Dog treats are so much better than store bought since you have complete control of what goes into your dog’s mouth. 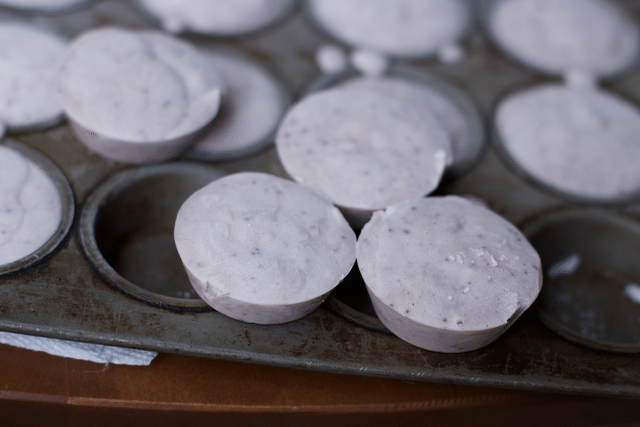 Don’t have a mini muffin pan? No worries. The other half I made with Peanut Butter and used paper cups for a larger treat! 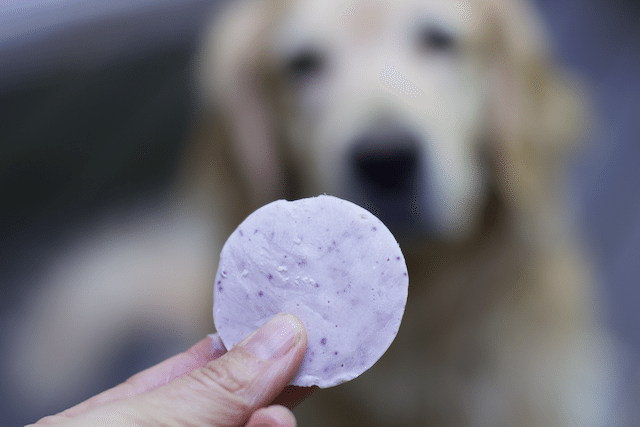 Which homemade dog treat recipe would your pup like the most? 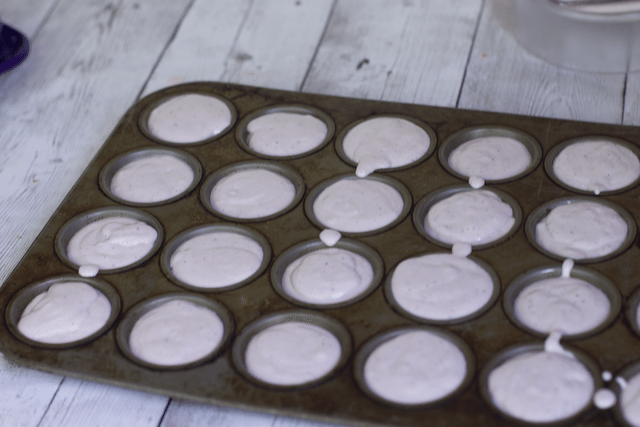 Use kids size bathroom paper cups, small plastic containers, ice cube trays or muffin tins to use as molds for the mixture. 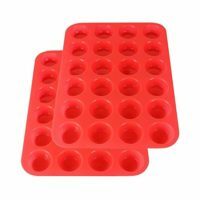 Pour small amounts into the cups, muffin tins or plastic containers. Aim for a hockey puck shape and thickness to resemble the original Frosty Paws size. I used mini muffin tins for a smaller version. 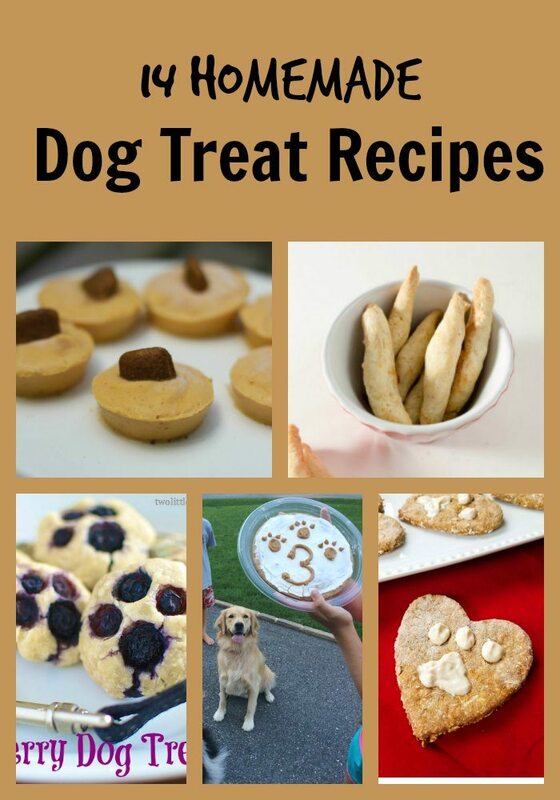 What type of Homemade Dog Treats have you made? 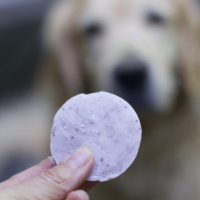 What is your dog’s favorite treat? So glad they are super easy and you can make them smaller so less calories than a full frosty paw but still nice and cold! thanks for stopping by. Going to try these. Wish I had seen it before. Yesterday was one of our puppies 1st birthday’s and I forgot the frosty paws. 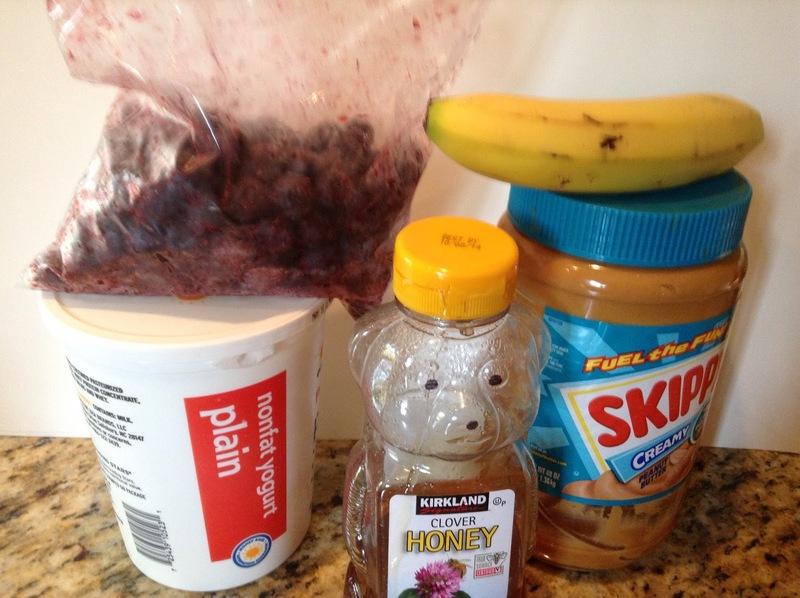 Heading to the store for yogurt and to make them for the hot days this week and all summer. So cool! I never thought to make dog treats, thanks for sharing! How neat! I do not have any dogs, and had no clue they would eat stuff like this, but I love the idea! I don’t have a dog but these look amazing. Any dog would be happy to have these! Kids would too. Ha! BOTH!!! My kid and I would love it to. I might just make these this weekend. Thanks for sharing your recipe! What a great idea! I wish I had known about this recipe when I had dogs. When I saw your pictures, I thought, “My kids will love that”. Looking at the ingredients list, I still think the same! Great idea to use the paper cups. Off to try this one out. Thanks for following me via BlogLovin, I am a follower of yours. I’d love it if you linked up to my weekly BlogLovin Hop at Journeys of The Zoo (http://www.journeysofthezoo.com/search/label/BlogLovin%20Hop). sure your kids could eat them too!! although my kids would think they are not sweet enough!! thanks for the link up going over there now.